Funeral plans not only provide complete peace of mind for your loved ones. There’s a huge long term cost-saving too which alleviates all of the stress caused by those ever-increasing funeral prices. Had you bought your plan just 7 or 8 years ago, you would have paid just over half of today’s costs. Free Consultation – no pressure and all your questions answered. Spanish Funeral system fully explained. Regardless of age or health, the cost is the same for everyone. Secure UK Trust Fund managed by CAPITA TRUST LTD. Fully transferable to the UK and dual certification option available. 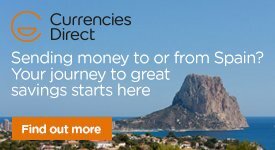 60 Payment options to suit all budgets. Peace of mind with our Membership Card System. The Avalon Membership Card gives you peace of mind knowing that wherever you may be in the world, if the unthinkable should happen, Avalon usually would be the first to find out as your ‘Members Card’ which you can carry at all times in your purse/wallet tells the Police/Ambulance or hospital staff in the case of your death to call the 24/7 emergency number on the card. This number goes directly to our bi-lingual Funeral director line where they will have all the details on the system of the people who need to know. After informing them of the news, your Avalon Funeral Plan will take over, removing all of the strain from the shoulders of those left behind. All they will have to think about regarding the funeral is to be there on the day. There are significant differences between the plans available so with absolutely no obligation whatsoever I can arrange to see you in the comfort of your own home to have a chat about your options and to leave you more informed about the Spanish Funeral System in general. 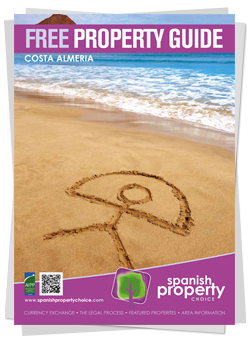 Contact Spanish Property Choice now on 0034 950 615 388 for further information.